Today I would like to answer your FAQ's about silk presses. Many of you ask me the same questions which means even more of you are thinking the same thing but just not asking. So, in an effort to get everyone on the same page about the wonderful world of silk pressing, here it goes. Question 1: What is a silk press? 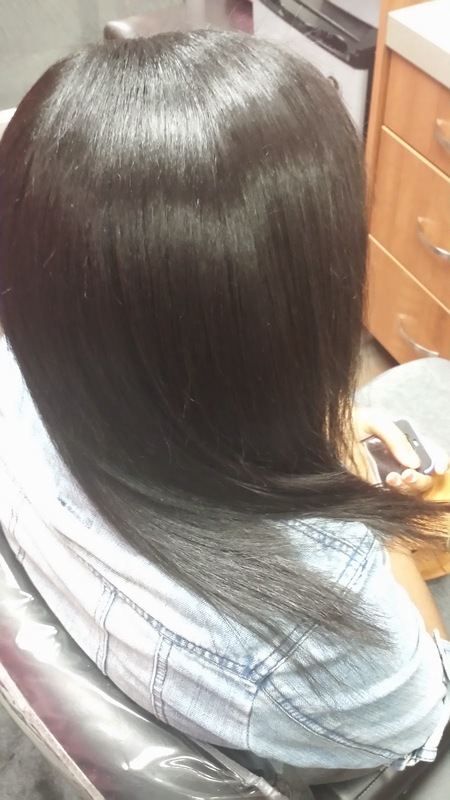 To put it simply, a silk press is basically blow drying and flat ironing the hair to temporarily get it straight. Question 2: Why is it called "silk press" then? 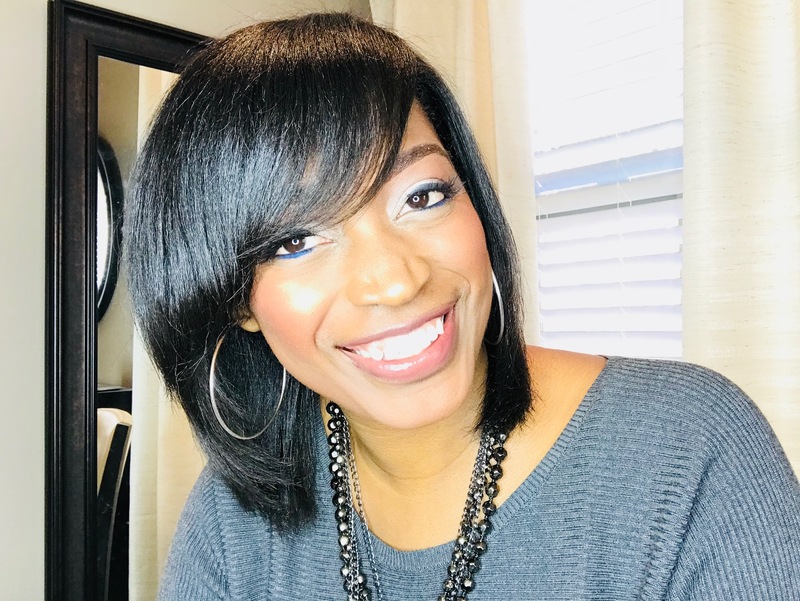 Because, unlike a traditional "press and curl"
a silk press is a method of pressing the hair to make it look like it has been relaxed while also allowing the hair to flow freely instead of looking like it is stuck to the head. No grease is used and no pressing comb is used either. 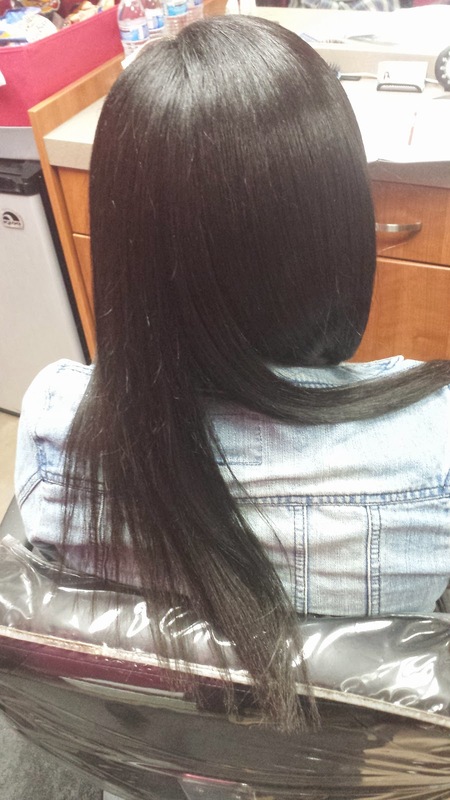 When done correctly, the hair will have a silky, soft look and feel, thus the name, silk press. 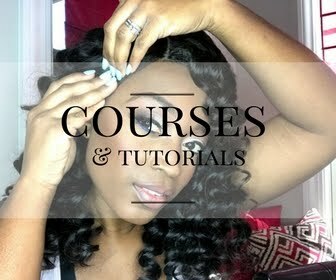 Question 3: Can any hair texture get a silk press? Yes! 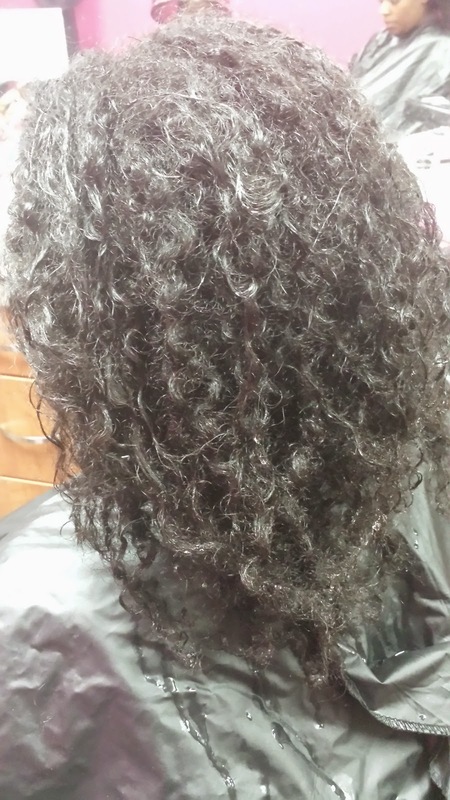 A silk press can make any type of hair texture look like it has been freshly relaxed. Question 4: How long does it last? 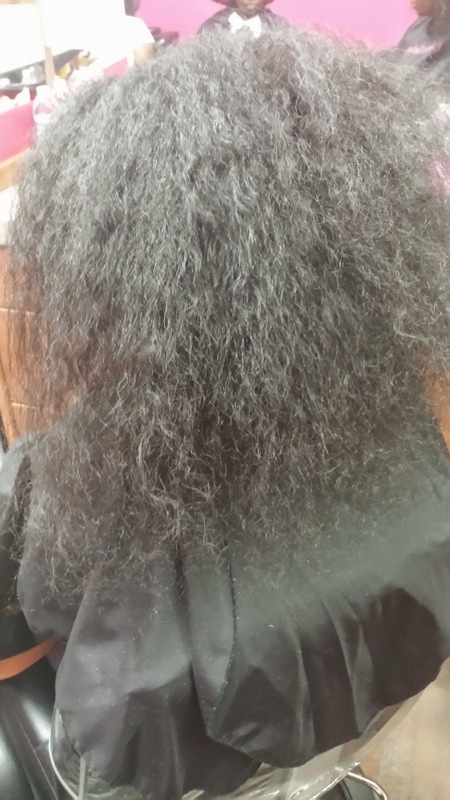 A silk press will last until the hair gets wet again, or approximately two weeks. 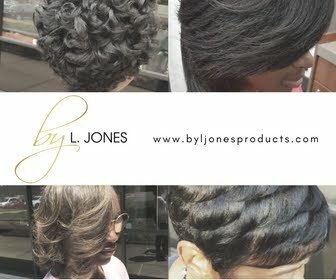 If any moisture from water, humidity, or sweat get on the hair, the hair will begin to revert back to its natural curl. Question 5: Is there anything that can be put on the hair to make the silk press last longer? Unfortunately no. You can use things like anti-frizz sprays and light holding hair sprays but the fact of the matter is that the hair is naturally curly. A silk press is only temporarily manipulating it to make it straight. 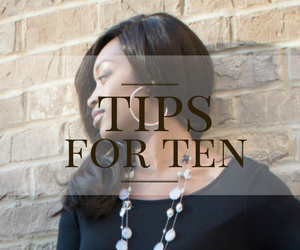 If you want your silk presses to last longer, I would suggest a keratin treatment which temporarily straightens the hair for up to three months before the hair goes back to its original curl pattern. Question 6: Does the silk press damage your hair over time if you get them too much? 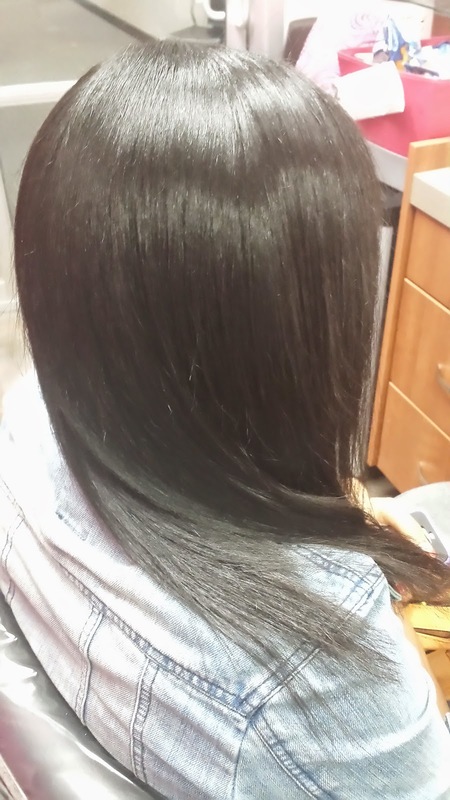 When done correctly you can safely get a silk press every week if you desired to with no damage to the hair. I personally have clients that get a silk press every week and then some come only when they want a length check and/or a trim. Question 7: How do you maintain a silk press? By wrapping every single night. No need to keep putting oil or anything on the hair either. Every few days you can spray Silk Hydration Miracle Potion no.9 on it to control frizz and keep the hair smelling fresh.